If you are an Aspergers adult – and you long to be in a relationship, then this article is for you. It is often very stressful for an Aspie to date. If you find that you are unable to complete any of the tasks below, or if you become very distressed when attempting to complete these tasks, consider working with a psychotherapist. 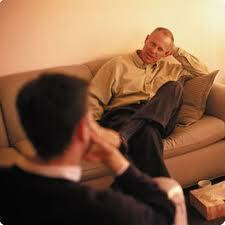 Counseling can offer you the much needed support as you go through the dating process. First of all, let's talk about risk-taking and dating. There’s no way to avoid taking emotional risks when dating. Give yourself support, and seek out support from others as you do this. Be gentle with yourself. Get extra help if you need it, as you would for any other important area in your life. Good luck! 1. Ask those closest to you for their help. The individuals who know you well may be able to give you some valuable insight into what has been preventing you from taking the necessary steps toward enjoying a healthy romantic life. Though criticism isn't always the easiest thing to hear, what your loved ones have to say might be more valuable to you than you realize. 2. Before asking someone out on a date, sit down, do a relaxation exercise, and visualize how you would like the date to go. This should be a positive visualization, and you should create the visualization in such a way that you enjoy the experience. Doing this helps your mind prepare for the date. 3. Learning how to talk with others often requires a certain amount of confidence. If you are unhappy with your life, it may be too difficult to find ways to reach out. In many cases, Aspies are harder on themselves than need be, making too much of problems that many individuals share. It's important to remember that nobody's perfect and they shouldn't expect you to be either. At the same time, if you feel that certain changes would improve your life, with or without including the effect of such changes in the romance department, it may be time to take some proactive steps in your life. 4. Once you find someone that you have some connection with, follow up with phone calls or e-mails just to get to know the person. Be prepared for rejection (this is often the toughest part of dating). Remember you are building a connection with this person, and regular communication is essential. 5. Plan out dating as you would any other important area of your life. Commit yourself to taking the time and energy to finding individuals that are right for you to date. Be discriminating – and expect for it to be bumpy. Remember, dating is a numbers game. You may need to meet several (10-20) new individuals before finding someone that you really click with. 6. Practicing the best flirting lines or best pick up lines may seem a little silly in the bathroom mirror, but practice does often make perfect, and repetition may prevent you from jumbling your words when the time comes. 7. Preparing for a new outlook by making some changes to your life may help you to feel more confident. In some cases, a detail as seemingly small as buying a few new clothes may help. In other cases, perhaps it's time to make a career change. If you should come across anything in your life for which you believe altering would improve things greatly, consider making those improvements. 8. Pursue coed activities that interest you (e.g., biking, hiking, photography, self-help seminars, volunteer or charitable organizations, literature classes, etc.). Plan to participate in one or more of these activities one or two times a week - every single week of your life - until you are in a relationship. Once you are attending your activities on a regular basis, begin to ask individuals out - one after the other. Usually coffee or lunch dates work best for a first date. Start by chatting with the new person about the activity you are both participating in, and then casually ask if the person would like to get together some other time. 9. Taking note of how you appear to others (e.g., your facial expressions and body language) may help you to feel more confident about how you're coming across. 10. The internet presents a great place to practice talking with others without the pressure of face-to-face communication. When you chat online, you can choose your words more carefully, and even in the worst case scenarios, you can simply click and exit if need be. After practicing for some time, you may even find that talking with others, the very same individuals you may have found impossible to chat with in person, becomes easy and even relaxing. With the anonymity of online communities, you may also be able to ask certain romance or dating questions that may have previously given you trouble. 11. Though preparation may not have the same feeling to it as actually being in the presence of a person who you find attractive, there are many things that you can do to increase your chances for success. Brushing up on some good conversation topics can be very useful so that you do not have to struggle with ideas in the moment. Composing a list of 10 questions to ask your date, for example, may help you to stay focused and not panic. 12. To expect that you will become a boisterous, outgoing person who is forever free of hesitation when it comes to romance may be too much to expect. Many individuals find “Aspie-like” personalities positively charming – and you should not feel that it is necessary to rid yourself of these traits. Understanding the actions which you believe are setting you back, how you began acting them out, and how you can rid yourself of them does not mean that you should change who you are. Simply look at what negative aspects of being an Aspie are making your life feel incomplete, and learn how to separate yourself from those traits. 13. Understanding why you feel so compelled to hold back when those who you see in a romantic light are present may help solve your problem entirely. Often the fear of rejection and insecurity lie at the heart of such issues. Perhaps a past relationship caused you to feel reluctant to try a new relationship, or maybe you've just felt this way your entire life. However you came to feel this awkward around others, it's important that you get to the root of the problem so that you can begin to find ways to overcome it. 14. When heading out on a date, you may want to select your location more carefully because of the difficulty you experience. The best places to go on a date will often include those which are familiar to you and allow you to feel at ease. Adding in the tension of unfamiliar surroundings along with the stress of trying to impress someone will often create unnecessary problems. In your comfortable surroundings, it may be easier to focus on the date itself. 15. When you go out on a date, try to be curious about the other person, and use this curiosity to focus on whether or not you like the person. Ask questions and create conversation out of mutual interests - even if you do not know much about the subject at hand. Allow for some quiet, awkward moments during the date, it always happens. Volunteer Work: Food banks, Children's shelters, service clubs, etc. Sports: Soccer, volleyball, tennis, dancing, baseball, biking, rafting, roller-blading, canoeing, etc. If you do not know where to find the locale of a particular sports activity, find a local store that sells the equipment for that sport and ask the sales individuals. Online Dating: There are many online services to choose from. Proceed cautiously, if you agree to meet the person. Talk on the phone first then meet briefly in a public place. Do not give out any personal information such as your full name, address, place of work, etc. until you know the person first. If you are a teen tell your parents and a few close friends if you are planning to meet a stranger. Let the stranger know that you have done this. Communities: Many single individuals these days belong to a community of individuals with similar interests who like to participate together in a particular activity. These are often warm and friendly places to meet new individuals. Meditation, Sierra Club, biking, book groups, self-help activities such as 12 step programs, online communities. Classes: Cooking, photography, yoga, creative writing, dancing, etc. These classes can be found at community colleges, city recreation centers, adult education programs and many private organizations. One of the more humbling things for therapists is realizing the cases where they missed the diagnosis of Aspergers in working with their clients (and perhaps came up with something else - like Narcissistic Personality Disorder) because they didn’t have adequate training at the time, or because the disorder hadn’t been adequately researched or named yet. Although named by Hans Asperger in 1946, Aspergers didn’t get codified in the DSM until 1994. For many years thereafter, it was seen as a childhood disorder and not something to consider when working with troubled grown-ups. But more and more, therapists are finding – and diagnosing – Aspergers adults who fell through the cracks as a child (i.e., they would have been diagnosed earlier if we knew then what we know now). Fortunately, training in the treatment of adult Aspergers is becoming more prevalent in graduate programs and professional in-service opportunities. The diagnosis has now become part of professional discourse and the popular culture. Also, books and materials are emerging to help the experienced therapist (as well as the novice) become familiar with diagnostic issues and treatment options. While many therapies are appropriate for Aspergers adults, treatment really depends on the person’s response to the diagnosis (and responses can run the gamut from joy to anger and everything in between). Some people are overjoyed, because finally everything makes sense to them (e.g., why they can't hold a job, tolerate noisy children, stay in a relationship, etc.). They have blamed themselves - or others - all their lives. Now they have a framework in which to understand their weaknesses – and their strengths. For a lot of adult “Aspies,” it's a relief! Of course, there is no obligation to do anything about an Aspergers diagnosis, and some adults simply stop the diagnostic process and walk away. Conversely, for those individuals who are interested in exploring their Aspergers further, the therapist does a debriefing and exploration focused on what the client feels now that he knows about the condition. The therapist (a) does a diagnostic “life mapping,” (b) explores the life map, (c) talks about how all Aspergers adults are different from one another, and (d) creates a treatment plan (e.g., “You came to therapy for a reason. Where would you like to go next?”). Some of the issues that are explored in treatment include "quality of life" concerns (e.g., leisure interests, social activities, health, employment, family, etc.). The therapist will look at all the different areas that make up quality of life, see how the client is doing, and where the client wants to make some changes. In addition to working on personal goals, “family work” is often indicated. For example, there are often rifts that have occurred where siblings are no longer talking. The therapist explores questions like, “What do you want to tell your family?” “How would you like to repair relationships?” Sometimes the family members come in to work on issues together. Beyond cognitive-behavioral therapy, adults with an Aspergers diagnosis have a number of other treatment options. They can request that their therapist write a report that clearly outlines diagnostic issues, IQ, adaptive behaviors, etc. With that report, the Aspie can often qualify for services provided by state and/or federal agencies. Such services range from cognitive therapy to vocational training, job placement, health insurance, and, in some cases, housing. Some of the therapies that are useful for children are also helpful for adults. For example, sensory integration therapy can be helpful in alleviating hypersensitivity to sound and light, and social skills therapy (often in the form of life-coaching or job-coaching) can improve job situations, friendships, marriages, etc. Perhaps most important is a "do it yourself" therapy. 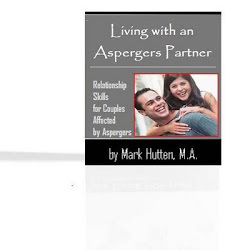 Aspergers adults have access to books, support groups, conferences and other resources that provide insight, ideas and information on all aspects of life with Aspergers. Many, if not most, adults with Aspergers (or High Functioning Autism) will experience some significant bouts of depression from time to time. So if that has happened to you – you’re not alone. Depression drains your energy, hope, and drive, making it difficult to do what you need to feel better. But while overcoming bouts of depression isn’t quick or easy, it’s far from impossible. You can’t beat it through sheer willpower, but you do have some control—even if your depression is severe and stubbornly persistent. You can make a huge dent in your depression with simple lifestyle changes (e.g., exercising every day, avoiding the urge to isolate, challenging the negative voices in your head, eating healthy food instead of the junk you crave, carving out time for rest and relaxation, etc.). Feeling better takes time, but you can get there if you make positive choices for yourself each day and draw on the support of others. Recovering from depression requires action. But taking action when you’re depressed is hard. In fact, just thinking about the things you should do to feel better (e.g., going for a walk, spending time with friends, etc.) can be exhausting. It’s the Catch-22 of depression recovery. The things that help the most are the things that are most difficult to do. But there’s a difference between difficult and impossible. For all you Aspies out there, below are some very important tips for dealing with – and ridding yourself of – depression. Pick one or more (preferably several) of these techniques. Some will work – others won’t. So you can expect a short trial-and-error period until you find the right combination of techniques that work for you. 1. Accompany someone to the movies, a concert, or a small get-together. 2. Aim for 8 hours of sleep. Depression typically involves sleep problems. Whether you’re sleeping too little or too much, your mood suffers. Get on a better sleep schedule by learning healthy sleep habits. 3. Allow yourself to be less than perfect. Many depressed people are perfectionists, holding themselves to impossibly high standards and then beating themselves up when they fail to meet them. Battle this source of self-imposed stress by challenging your negative ways of thinking. 4. Ask a loved one to check in with you regularly. 11. Avoid 'shoulds’ and ‘should-nots’: Holding yourself to a strict list of what you should and shouldn’t do, and beating yourself up if you don’t live up to your rules. 12. 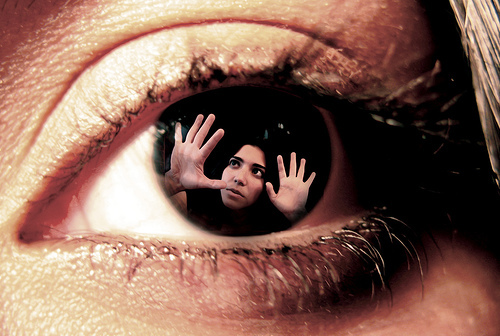 Avoid the mental filter: Ignoring positive events and focusing on the negative. Noticing the one thing that went wrong, rather than all the things that went right. 13. Boost your B vitamins. Deficiencies in B vitamins such as folic acid and B-12 can trigger depression. To get more, take a B-complex vitamin supplement or eat more citrus fruit, leafy greens, beans, chicken, and eggs. 14. Call or email an old friend. 15. Challenge negative thinking. Depression puts a negative spin on everything, including the way you see yourself, the situations you encounter, and your expectations for the future. But you can’t break out of this pessimistic mind frame by “just thinking positive.” Happy thoughts or wishful thinking won’t cut it. Rather, the trick is to replace negative thoughts with more balanced thoughts. 16. Confide in a counselor, therapist, or clergy member. 17. Consider taking a chromium supplement. Some depression studies show that chromium picolinate reduces carbohydrate cravings, eases mood swings, and boosts energy. Supplementing with chromium picolinate is especially effective for people who tend to overeat and oversleep when depressed. 18. Cultivate supportive relationships. Getting the support you need plays a big role in lifting the fog of depression and keeping it away. On your own, it can be difficult to maintain perspective and sustain the effort required to beat depression. But the very nature of depression makes it difficult to reach out for help. However, isolation and loneliness make depression even worse, so maintaining your close relationships and social activities are important. The thought of reaching out to even close family members and friends can seem overwhelming. You may feel ashamed, too exhausted to talk, or guilty for neglecting the relationship. Remind yourself that this is the depression talking. You loved ones care about you and want to help. 20. Do things you enjoy (or used to). While you can’t force yourself to have fun or experience pleasure, you can choose to do things that you used to enjoy. Pick up a former hobby or a sport you used to like. Express yourself creatively through music, art, or writing. Go out with friends. Take a day trip to a museum, the mountains, or the ballpark. Push yourself to do things, even when you don’t feel like it. You might be surprised at how much better you feel once you’re out in the world. Even if your depression doesn’t lift immediately, you’ll gradually feel more upbeat and energetic as you make time for fun activities. 21. Don’t skip meals. Going too long between meals can make you feel irritable and tired, so aim to eat something at least every 3-4 hours. 22. Eat a healthy, mood-boosting diet. What you eat has a direct impact on the way you feel. Aim for a balanced diet of protein, complex carbohydrates, fruits and vegetables. 23. Expose yourself to a little sunlight every day. Lack of sunlight can make depression worse. Make sure you’re getting enough. Take a short walk outdoors, have your coffee outside, enjoy an al fresco meal, people-watch on a park bench, or sit out in the garden. 24. Focus on complex carbohydrates. Foods such as baked potatoes, whole-wheat pasta, brown rice, oatmeal, whole grain breads, and bananas can boost serotonin levels without a crash. 25. Get regular exercise. When you’re depressed, exercising may be the last thing you feel like doing. But exercise is a powerful tool for dealing with depression. In fact, studies show that regular exercise can be as effective as antidepressant medication at increasing energy levels and decreasing feelings of fatigue. Scientists haven’t figured out exactly why exercise is such a potent antidepressant, but evidence suggests that physical activity triggers new cell growth in the brain, increases mood-enhancing neurotransmitters and endorphins, reduces stress, and relieves muscle tension—all things that can have a positive effect on depression. 26. Go for a walk with a workout buddy. 27. Have lunch or coffee with a friend. 28. Help someone else by volunteering. 29. Join a support group for depression. Being with others who are dealing with depression can go a long way in reducing your sense of isolation. You can also encourage each other, give and receive advice on how to cope, and share your experiences. 30. Keep a “negative thought log." Whenever you experience a negative thought, jot down the thought and what triggered it in a notebook. Review your log when you’re in a good mood. Consider if the negativity was truly warranted. Ask yourself if there’s another way to view the situation. For example, let’s say your boyfriend was short with you and you automatically assumed that the relationship was in trouble. But maybe he’s just having a bad day. 31. Keep stress in check. Not only does stress prolong and worsen depression, but it can also trigger it. Figure out all the things in your life that are stressing you out. Examples include: work overload, unsupportive relationships, taking on too much, or health problems. Once you’ve identified your stressors, you can make a plan to avoid them or minimize their impact. 32. Know when to get additional help. If you find your depression getting worse and worse, seek professional help. Needing additional help doesn’t mean you’re weak. Sometimes the negative thinking in depression can make you feel like you’re a lost cause, but depression can be treated and you can feel better! Don’t forget about these self-help tips, though. Even if you’re receiving professional help, these tips can be part of your treatment plan, speeding your recovery and preventing depression from returning. 33. List what you like about yourself. 35. Meet new people by taking a class or joining a club. 36. Minimize sugar and refined carbs. You may crave sugary snacks, baked goods, or comfort foods such as pasta or french fries. But these “feel-good” foods quickly lead to a crash in mood and energy. 37. Omega-3 fatty acids play an essential role in stabilizing mood. Foods rich in certain omega-3 fats called EPA and DHA can give your mood a big boost. The best sources are fatty fish such as salmon, herring, mackerel, anchovies, sardines, and some cold water fish oil supplements. Canned albacore tuna and lake trout can also be good sources, depending on how the fish were raised and processed. 38. Pets can make you happier and healthier. While nothing can replace the human connection, pets can bring joy and companionship into your life and help you feel less isolated. Caring for a pet can also get you outside of yourself and you a sense of being needed—both powerful antidotes to depression. And the research backs it up. Studies show that pet owners are less likely to suffer from depression or get overwhelmed by stress. 39. Practice relaxation techniques. A daily relaxation practice can help relieve symptoms of depression, reduce stress, and boost feelings of joy and well-being. Try yoga, deep breathing, progressive muscle relaxation, or meditation. 40. Read a good book. 41. Schedule a weekly dinner date with someone special. 42. Socialize with positive people. Notice how people who always look on the bright side deal with challenges, even minor ones, like not being able to find a parking space. Then consider how you would react in the same situation. Even if you have to pretend, try to adopt their optimism and persistence in the face of difficulty. 43. Spend some time in nature. 44. Start small and stay focused. The key to depression recovery is to start with a few small goals and slowly build from there. Draw upon whatever resources you have. You may not have much energy, but you probably have enough to take a short walk around the block or pick up the phone to call a loved one. Take things one day at a time and reward yourself for each accomplishment. The steps may seem small, but they’ll quickly add up. And for all the energy you put in to your depression recovery, you’ll get back much more in return. 45. Take a long, hot bath. 46. Take care of a few small tasks. 47. Take care of yourself. In order to overcome depression, you have to take care of yourself. This includes following a healthy lifestyle, learning to manage stress, setting limits on what you’re able to do, adopting healthy habits, and scheduling fun activities into your day. 48. Talk to one person about your feelings. 49. Think outside yourself. Ask yourself if you’d say what you’re thinking about yourself to someone else. If not, stop being so hard on yourself. Think about less harsh statements that offer more realistic descriptions. 50. Try to keep up with social activities even if you don’t feel like it. When you’re depressed, it feels more comfortable to retreat into your shell. But being around other people will make you feel less depressed. 51. Turn to trusted friends and family members. Share what you’re going through with the people you love and trust. Ask for the help and support you need. You may have retreated from your most treasured relationships, but they can get you through this tough time. 52. Watch a funny movie or TV show. 53. Write in your journal. 54. Pray (if you’re a spiritual person) for guidance, peace, joy and prosperity. 55. Be patient with yourself as you try these “depression-busting” techniques. Experiment. Dump the ones that don't work. Keep the ones that do!